International pet transport can be a very complicated and stressful process for both your pet and yourself. A lot of countries won’t allow your pet to enter, or they may impose a long quarantine period. The best way to make the process less complicated and stressful is to contact an international pet transporting agency. International pet transporters or brokers are professionals in this area, who can go through the entire process for you, and save you a lot of time and nerves. But how do you pick the right pet shipping company to do your bidding? You can’t just trust any stranger on the internet claiming to be a broker or transporter with your most beloved, can you? It’s all rather simple, you have to do your homework on them, which includes: reading reviews, getting referrals and lastly, talking to them. They have to assure you that they’re professionals who will be there for you and your pet every step of the way. Don’t accept mediocrity! If you don’t like what you hear – move on, there’s probably someone better. Only after you’ve done your evaluation you should hire the ideal pet shipping company for the task. Once that is said and done, you can trust those professionals to know the ins and outs of both national and international shipping rules and regulations, which papers you need, and how to keep your pet safe before, during and after travel. However, there are some things that you yourself can do to prepare yourself and your pet for the journey that lies ahead. Your pet will likely be traveling as cargo, which means that it will spend quite some time inside a confined crate. That being said, you should crate-train it as soon as you know that you’ll be traveling with it. You want to make the travel crate as comfortable and familiar to your pet, so that they don’t scare easily during transport. Moreover, take your pet to your veterinarian for a complete check up before the travel. 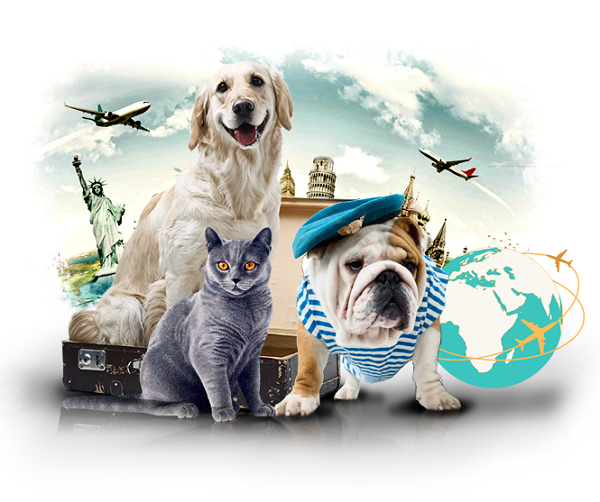 Let them know that your pet will travel and ask them to write a letter, verifying that your pet is suited for international traveling. Listen to their advice, if hey have any, such as suggesting your pet may be too old, young or weak for international travel. If that’s the case, don’t expose your pet to such a risk, and just let it stay with a family or friend. Lastly, when you arrive to your new destination, your pet might be quarantined for examination. These procedures are very frustrating, but they’re necessary for the safety of everyone involved. Comply with all the officials and rules, and you’ll get your pet back as soon as possible. Make sure you find a vet at the new destination and do another check up to ensure everything is right.